Unical accepts the challenge and gets always greater! 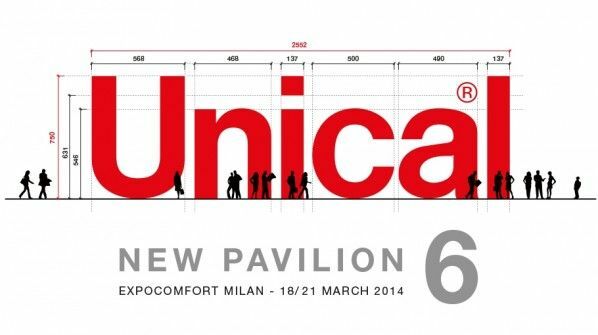 At Expocomfort 2014 Unical, as company leader in the heating sector, exhibits its products in a new exposition area (the hall 6), with a space more than doubled and completely renewed. Over 3.500 sq. meters of booth to allow the presentation of an even more complete catalogue and the state-of-the-art of the production. Strong of many won challenges and with the entrepreneurial courage that characterizes it since its foundation, Unical accelerates and proposes itself on the market always motivated, with high-technology novelties, great confirmations, updatings and nonstop lavished energies for pursuing that great objective, represented by the quality of the product, the service and the company in its completeness. Unical believes in Italy, believes in the export, Unical believes in itself and in its partners and intends to show it once more in the important show window of MCE. It is not sales or fears time, it is time of great projects, of leadership, of further improvement, of important choices and of great products that make the difference! An area for the domestic products, one for the professional ones, one for the bioenergy division (firewood and pellet), one for the industrial range, one for the solar thermal and so many novelties will be the hub around which the Unical fair activity will be developed. More than doubled the Unical booth at MCE? Yes, in order to give space to the excellence that wins….. because when the quality is there, everything is there! We'll be waiting for you at the pavillion 6 from March 18th to March 21st.